2018 is shaping up to be a big year for Motorola. Ever since its acquisition by Lenovo, Motorola’s turned into a company that’s not shy about releasing a lot of different phones each year. This allows for a lot of choices, but it can also make trying to pick the perfect phone a bit headache-inducing. No matter your opinion on Motorola’s release cycle, however, there’s no denying that 2018 is already shaping up to be an exciting year for the company. We’ve seen a ton of leaks, rumors, renders and more for Motorola’s lineup of phones for 2018 ever since the beginning of the year, and this is everything we know so far. The wildcard on this list easily goes to the Motorola One Power. 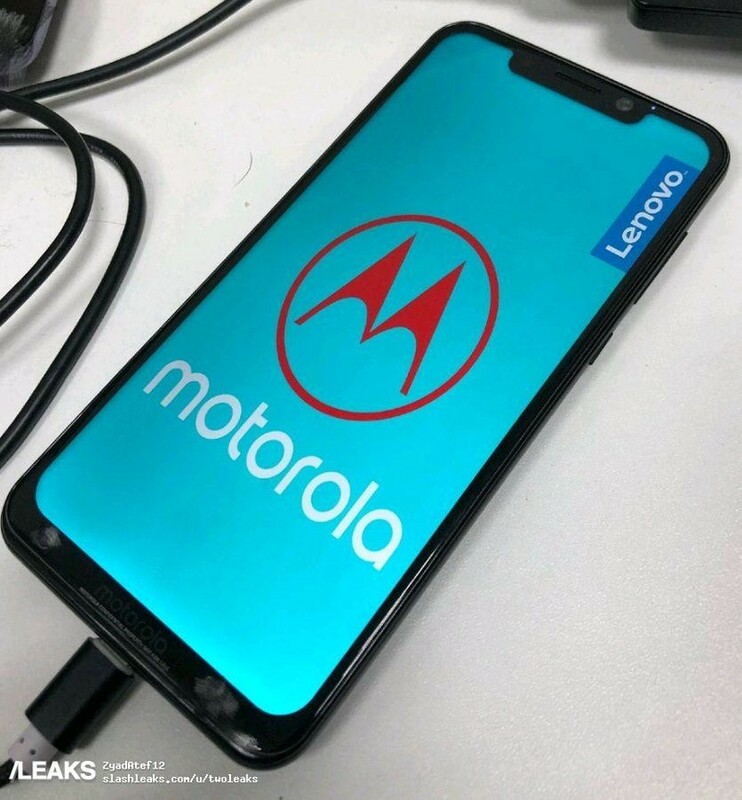 We didn’t have any idea such a phone existed until late May, and based on what we know so far, it looks quite a bit different from the rest of Motorola’s 2018 handsets. First off, the overall design language isn’t anything like the rest of this year’s Moto phones. There’s a giant notch at the top of the screen, vertical dual cameras on the back, and what appears to be a metal unibody. 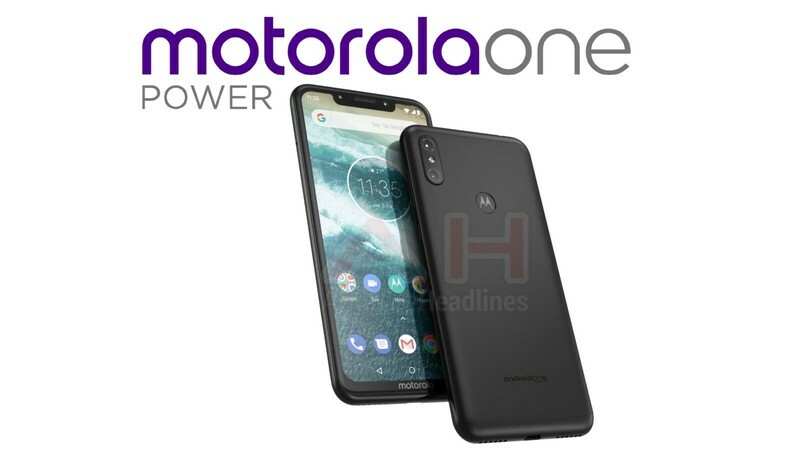 Android One branding suggests that this phone will be among the first Motorola phones to get software updates and new security patches, and the full-on “Motorola” branding is unique from the short-hand “Moto” tag on the rest of the company’s products. Shortly after the phone broke cover for the first time, even more press renders and a hands-on photo surfaced along with alleged specs. According to Andri Yatim on Twitter, the One Power will come equipped with the Snapdragon 636 processor, 6GB RAM, 64GB of storage, a large 3,780 mAh battery, and NFC for Google Pay support. As for the camera situation, the two sensors on the back include a primary 16MP shooter with f/1.5 aperture and a seondary 5MP f/1.9 one. As for the front-facing camera, its 16MP with f/1.9. Next, let’s talk about Motorola’s highest-end and most premium phone for 2018 – the Moto Z3. Just like last year, we’re expecting Motorola to release two entries in its Z-series in 2018. The regular Moto Z3 will be the most powerful of the two, and it’s expected to come with a 6-inch FHD+ display. Like we saw through a lot of 2017, bezels surrounding the screen should be cut down considerably. The Z3 is said to have the slimmest bezels of the two, but the Z3 Play still looks a lot more modern when compared to the Z2 Play. 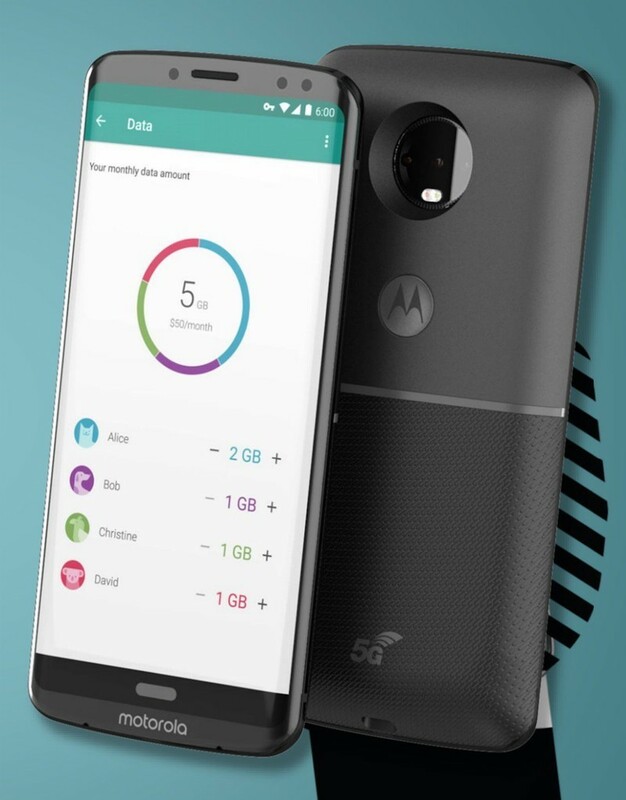 Along with showing off the phone itself, the image of the Z3 also reveals a new Moto Mod. It may not look like anything at first glance, but the “5G” branding near the bottom suggests that this Mod will allow the Z3 to get 5G data speeds. Furthermore, the monthly data allotment page is taken right from the Project Fi app and could be a hint that more Moto phones will find their way to Google’s MVNO. If you’re not about the Moto Mod life but still want a quality phone from Motorola, the X series has proven to be the way to go. Our first look at the Moto X5 shows a very similar design compared to the X4, but there are a couple key differences. Just like the Z3/Z3 Play, we’re looking at a tall display with slim bezels on all sides. However, unlike those two phones, the X5 appears to have a notch near the top just like another phone with an X in its name. This is one trend I was really hoping wouldn’t catch on, but if it has to make its way into one Moto phone, so be it. Unfortunately, it’s possible none of this will mean anything. A report surfaced in early March suggesting that Motorola had canceled the Moto X5, meaning it won’t be released at all. As a big fan of the X4, this would be incredibly disappointing if it turns out to be true. 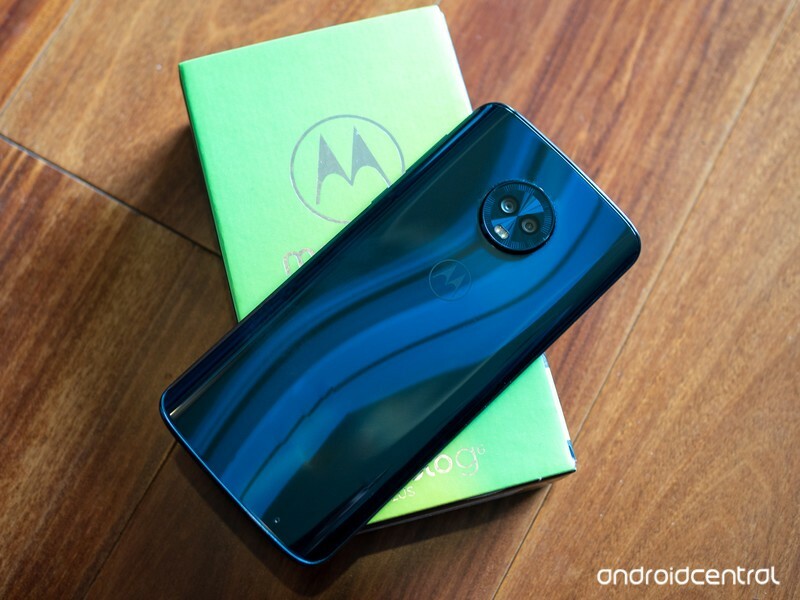 Following up last year’s Moto Z2 Play, Motorola’s released the Moto Z3 Play. 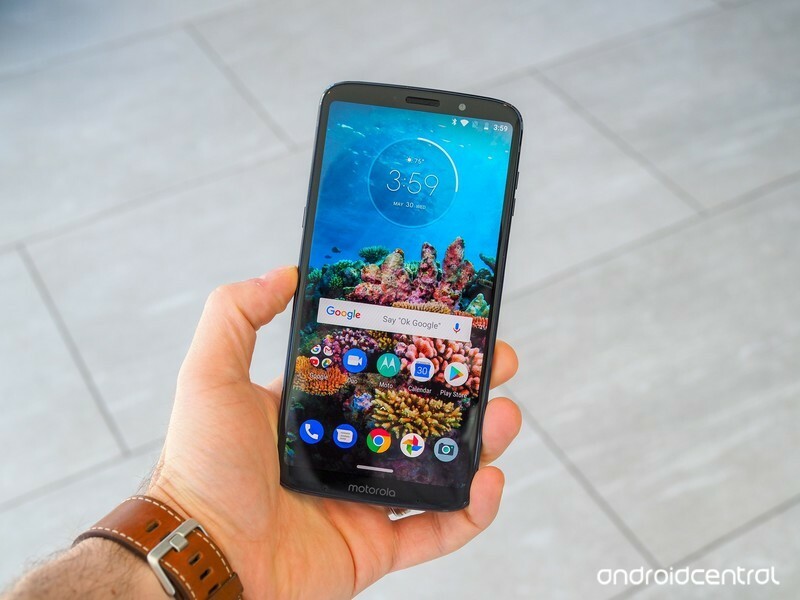 The overall design is mostly the same due to the phone supporting all existing Moto Mods, but the bezels surrounding the 6.01-inch 2160 x 1080 AMOLED screen are considerably smaller. Inside the Z3 Play is the Snapdragon 636 processor, 4GB RAM, 32 or 64GB of storage, and a 3,000 mAh battery. Motorola’s introducing dual cameras to the Z Play line this year, with the Z3 Play featuring a 12MP + 5MP sensors. 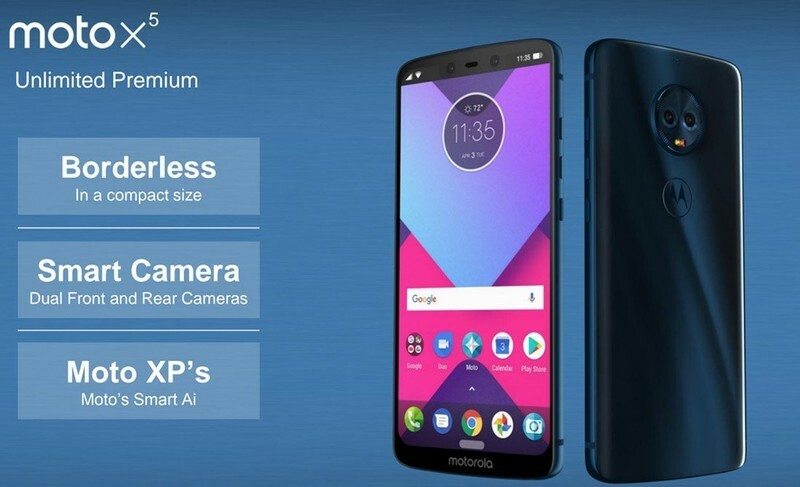 The front-facing camera captures pictures at 8MP, a fingerprint sensor can be found on the right below the volume buttons, and Motorola’s has a new on-screen gesture system not unlike what Google’s messing with in Android P.
Despite all these improvements, the Moto Z3 Play will be faced with a lot of stiff competition — especially with a starting price of $499 in the U.S.
Motorola’s Moto G series has been its most popular (and profitable) since the very first Moto G that came out in 2013, and this year’s entries have proven to be some of the best so far. 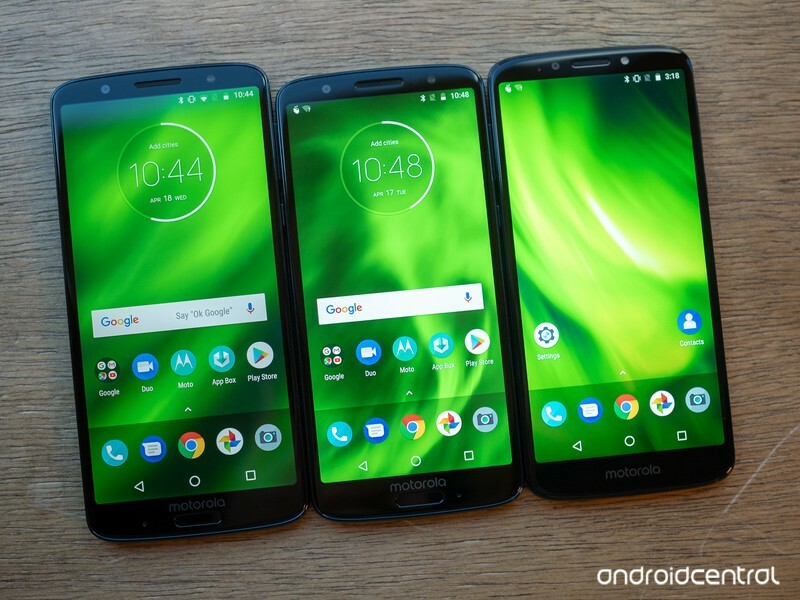 For 2018, Motorola released three G phones — the Moto G6, G6 Play, and G6 Plus. The Play is the most affordable of the bunch, with the G6 Plus being the flagship entry and the regular G6 finding home in between the two. While the G6 Play is made out of a shiny plastic, the G6 and G6 Plus both have glass bodies that look and feel much nicer than their asking prices. Add that together with dual cameras, 18:9 screens, and Snapdragon processors, and there’s a lot to like here. 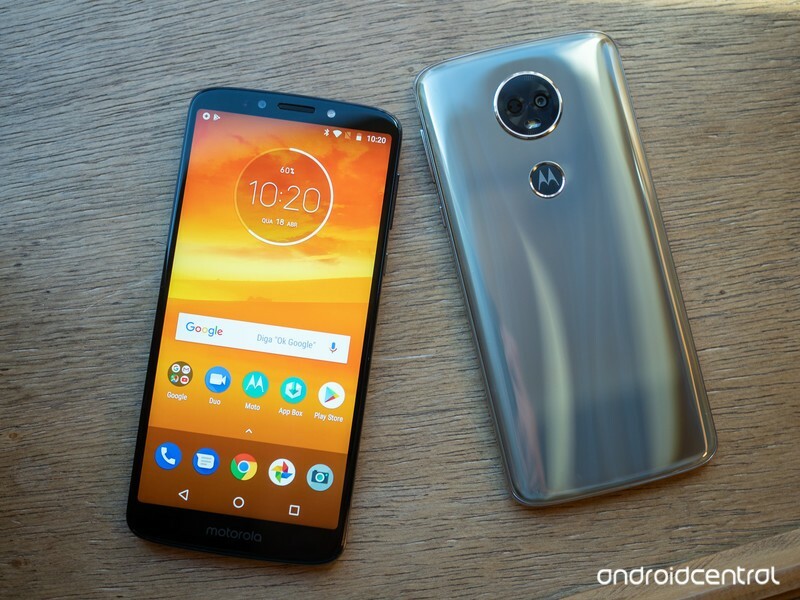 Similar to the G series, Motorola released three entries in its E5 series this year in the forms of the Moto E5, Moto E5 Plus, and Moto E5 Play. The E5 Play is the cheapest phone in Motorola’s 2018 portfolio, touting a plastic body, 16:9 display, removable battery, and pretty low specs. If this year’s G6 phones are too rich for your blood, the E5 models are absolutely worth a look. Moto E5, E5 Plus and E5 Play: Everything you need to know! Updated June 6, 2018: Added new details about the Moto Z3 Play now that it’s been announced.